Semi Permanent makeup is a type of cosmetic tattooing that uses pharmaceutical grade pigments applied to the skin. The aim of the treatment is to give a natural make up appearance that perfectly complements your skin tone using the right combination of pigments to enhance your natural features. The make-up can be used to frame the face and give fuller more defined eyebrows; on the eyelids as eye liner to enhance the natural eye line; on the lips add colour to the lips and on the lip line to achieve fuller more defined lips. Our highly qualified technician, Rachel Pitman, has trained with Nouveau Contour- the industry leaders in semi permanent cosmetics. Her background in fine art has given her a unique and innate understanding of aesthetics and colour theory. Rachel will assess your features and give results that are tailored to your face shape and skin tone. Every client is treated individually to receive cosmetics that appear natural and look great. 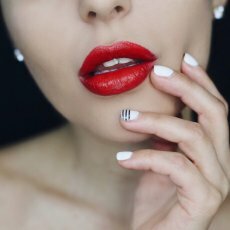 Semi permanent make-up is growing in popularity in both men and women who want to enhance their natural beauty and look polished without having to regularly apply make-up. It saves you time by eliminating the need to apply makeup every morning, you can wake up every morning looking fresh faced and have that “get out of bed make up” look. It is also a great solution for sports men and women, as there is no smudging after swimming, raining, or after working out at the gym. 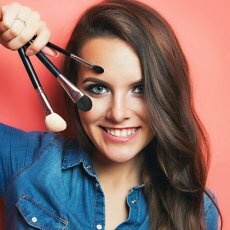 It is also beneficial for those with disabilities such as neurological weakness or tremors, who may find it difficult to apply makeup evenly every day. Semi permanent eyebrow make up can boost confidence in people with medical conditions such as alopecia, or patients undergoing chemotherapy. Finally it can be used in people with scarring of the lip line or eyebrow to reduce the appearance of the scar. Rachel will evaluate the most suitable pigments for you, taking into consideration your skin tone and personality. She will create the desired shape using a conventional make-up pencil so you can see the intended result. Once the shape, design and colour have all been agreed upon and photographed, the pigment will be carefully implanted into the skin. Depending upon the size of the area, the procedure itself will take about an hour and a half; and a complimentary retouch procedure is required 4-6 weeks after the initial treatment. Cosmetic tattooing sits somewhere in-between semi-permanent and permanent; as over the years the colour will fade. The longevity is dependent upon certain factors, but you can expect your permanent make-up to last 2 – 7 years, the average is 3 years. Because the colour will gradually fade, a retouch treatment is recommended every 12 – 18 months to keep your make-up looking as good as new. It’s no more painful than having your eyebrows tweezed. A topical anaesthetic cream will be used to numb the area before the procedure. You can carry on with your day as normal immediately after treatment. There may be some swelling and redness but this generally subsides within 24 to 48 hours. 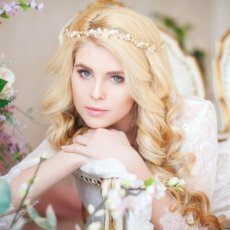 As the skin heals, the treated area will form a protective crust over the forthcoming days and the final healed result of the treatment will be about 30-40% lighter than the immediate result. A minimum of 4-6 weeks rest between treatments is required to ensure the skin is fully healed, both on the surface and below. Fuller, more defined eyebrows have exploded into the beauty industry over the past few years. Magazines devote pages to achieving bigger brows; and the beauty industry is awash with products to add definition, thickness and length, Some may call this the ‘Cara Delevingne’ effect – but looking after your eyebrows isn’t a fad that will eventually go out of fashion, in fact, thicker, well-groomed brows can drastically transform your face. They frame the face, emphasise the eyes, and can easily give you a more youthful appearance; while thinner, over-tweezed brows can actually add years. Rachel Pitman is Face Clinic London’s extremely skilled semi-permanent make-up technician. Having trained with the industry leaders in semi permanent cosmetics- Nouveau Contour, she is experienced in creating natural results which complements the natural beauty of the face. Rachel assesses each client’s facial structure and skin tone tailor a perfectly defined and shaped eyebrow. She will use the correct blend of pigments to simulate the appearance of natural three-dimensional hair growth. The arch and shape of the brows will be created to give the best frame and balance to the face. Achieve natural looking three-dimensional hair strokes with semi permanent makeup. The pigment will be implanted in nano hair strokes to mimic your natural hair growth. Many practitioners offer this treatment but few have mastered it as Rachel has. Following the direction of your hair growth allows the simulated hairs to sit in harmony with your existing brow. These hairs can be densely applied and compact for a neater brow, or spread slightly further apart for a sparse, feathery less defined effect. You can also achieve ultimate depth with blended hair-strokes to merge your existing brows with the applied pigment perfectly. This treatment can be extremely beneficial for people with reduced or patchy hair growth on the eyebrow, including sufferers of alopecia and chemotherapy patients. Eyebrow pencils, powder, palettes, gels… there’s no lack of products on the market to achieve the fuller brow look. What many people are lacking is the time, patience and steady hand needed to create the perfect shape! Using products is not only be time consuming but can sometimes give an uneven and misshapen appearance. This is why semi permanent eyebrow make-up is growing rapidly in popularity – it gives an attractive and youthful eyebrow everyday without having to spend time applying makeup every morning, or having to top-up throughout the day. If you want all the benefits of full, well-defined eyebrows but don’t have the time to carry around or apply makeup, you now can. If you’ve fallen foul of over-plucking; this treatment can correct any uneven brows or thinning, as well as fixing any natural asymmetries or uneven brows. It can also be used to give a natural youthful eyebrow raise without the use of plastic surgery or Botox. It’s also a recommended treatment those with hair loss or patchy hair growth – including sufferers of alopecia and chemotherapy patients. Semi permanent eyebrow make-up simulates the effect of hair growth, for a completely natural looking finish. It is also used in people with disabilities who may not be able to physically apply makeup. The procedure itself is carried out in our Soho clinic with high levels of hygiene. A topical anaesthetic cream can be applied to numb the area. The procedure is relatively painless, and can take about 90 minutes. The effects can last for about three years. A touch up is recommended every 12 to 18 months. Using make-up to define the eye-line is a great way to bring out the eyes, change the appearance of the eye shape, achieve a more youthful appearance and make lashes look fuller and thicker. By adding definition to the eyes, they can appear larger, more striking, and younger! There are so many products on the beauty market that promise long-lasting or ‘24hr’ results. The reality is nothing can stop conventional make-up running or smudging. For those who use eyeliner on a daily basis, semi permanent cosmetics are the perfect solution for long-lasting results. They can be used to define the eye line; by applying pigment along the lash line on the upper and lower lids. Our highly qualified technician Rachel has trained with Nouveau Contour- the industry leaders in semi permanent cosmetics. She has a fine art background giving her an innate understanding of aesthetics and colour theory. How you apply your eyeliner is an individual choice, and will be discussed in order to achieve a shape that you are happy with. The outcome of the treatment is a beautiful but natural look that will emphasize the shape, size and colour of your eyes. Our technician will also assess your features, to give a look that appears natural and looks great. 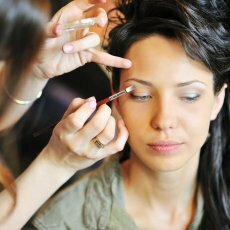 Every client is treated individually to receive cosmetics that are tailored to their needs. A small amount of eyeliner can make your eyelashes look thicker and your eyes subtly defined. Our most natural liner will achieve this effect. The pigment will be placed along the lash line only, to create the very natural appearance of fuller lashes. This treatment is not for those who want an apparent eyeliner look, but for those who want to give a soft impression of natural beauty.